The success of the 2018 World Cup is being celebrated worldwide no more so than in Thailand where football is growing in popularity. 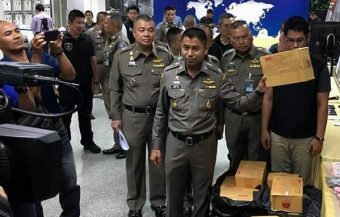 It was also been a resounding success for the Royal Thai Police who announced, a month into the tournament, that over 10,000 Thai people had been arrested for gambling which is strictly outlawed in the country. The aftermath of the event is a good moment to explore the nature and extent of the gambling problem in the country. 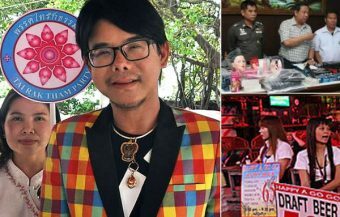 Deputy Commissioner Police Major General Panurat Lakboon of the Metropolitan police warned in an interview with Thai PBS that parents of young Thai people caught involved in gambling activities could face prosecution. He also revealed that the Royal Thai Police had set up a ‘War Room’ to crack down on illegal gambling during World Cup 2018 in Russia. The campaign, launched before the World Cup took place, saw over 10,000 people arrrested throughout Thailand. The dangers of gambling to Thai people are particulalrly unique as it is controlled by an underground network and police see it as a gateway to crime. Thai people are particularly prone to a love of risk and addiction. All gambling in Thailand is illegal with the exception of some horse racing events and the state controlled lottery. Despite this, gambling is very prevalent and popular among Thai people often leading to tragic and devastating outcomes for those who cannot control the urge. 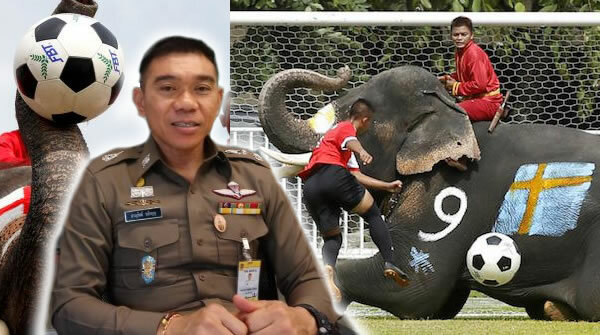 The intensive and high profile campaign run by Thai authorities started with a blaze of publicity with Thai elephants announcing the crackdown on gambling linked to what has become perhaps the world greatest sporting spectacle. The Thai police stressed the importance of the campaign in preserving law and order in Thailand and the prevention knock on crimes which occur as the results of large sums of money being won and more pertinently, lost by different parties. 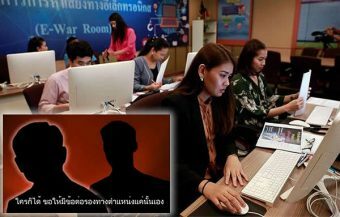 They revealed that up to 200 gambling websites had been closed down with $1.27 million seized or 40 million baht just days into the campaign. Football is one of the most popular sports in Thailand for gambling. A survey of 1,000 Thai women before the 2012 European Championship carried out by the business department of Assumption University found a staggering 63% admitted that the gamble regularly. Every four years, the World Cup comes with great joy for football fans, fever for gamblers and taxing work for the police. It was no exception for Thailand this year with 3,000 football gambling suspects arrested just five days into the 2018 World Cup and updated figures showing 10,000 Thai punters nabbed for breaking Thailand’s strict gambling laws while celebrating the 2018 World Cup in Russia. This result was achieved by police operations center and task force set up by Thai authorities to counter the surge in football gambling associated with the event. 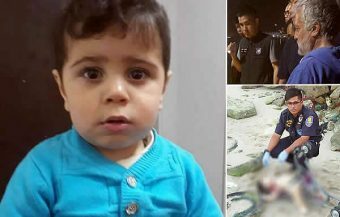 The agency was placed under the command of Police General Chalermkiat Srivorakan, the Deputy National Police Chief, from May 1 to July 15, the date of the world cup final in Moscow. 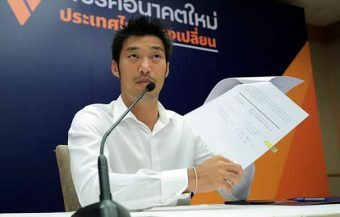 In response to the rise of online football gambling, the police and Thailand’s Anti-Money Laundering Office (AMLO) worked in collaboration with banks and Telco, the e-money service provider, to monitor online transactions. The financial institutions was on the lookout for suspicious activities linked to online illegal gambling. A hotline was created so that suspicious activities could be reported to Thai authorities. In an interview with Thai PBS, the public service broadcaster in Thailand, Deputy Commissioner Police Major General Panurat Lakboon warned parents of young Thai people caught gambling could face prosecution by Thai authorities for neglicence and failure to control their children. He said that the Metropolitan Police had established a war room to counter illegal gambling and could seize bank accounts of those operating in the business within five minutes. He also revealed plans by the Royal Thai Police to bring awareness programmes to Thai schools further highlighting the growing concern of authorities towards the dangers posed by illegal gambling to young Thai people as a gateway to crime. Meanwhile, the police stepped up their normal monitoring of venues known or suspected to be associated with gambling activities such as nightlife venues, internet cafes and video game arcades. In addition, cyber units of Thailand’s Technology Crime Suppression Division carried out operations against gambling websites. It is estimated that only about 100 online gambling outlets are owned and managed by Thai people. 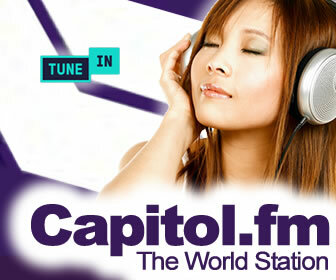 The problem is that most online operations are run and controlled by entities from outside Thailand. 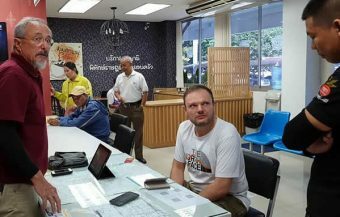 The serious nature of the gambling threat in Thailand can be seen from precautions taken by authorities to strengthen the police presence around gold shops, banks, ATMs and convenience stores to deter desperate gamblers from committing thefts and robberies to get hard cash to pay their gambling debts. The World Cup police campaign reflects the long-standing issue of gambling in Thai society. On theory, gambling is prohibited in the kingdom, due to the 1935 Gambling Act. Only betting on horse races or the government sanctioned Thai lottery are legally permitted. People who gamble or engage in related activities face tough fines and criminal prosecutions or asset seizure. Proceedings can be taken under the Anti-Money Laundering Act in the case of online football betting. However, gambling and the underground lottery, a form of numbers game, is part of Thai people’s everyday life as well as a multi-billion-bath industry, which makes enforcement of anti-gambling laws a difficult task for Thai authorities. A study by a social research unit at Chulalongkorn University found that more than 60 percent of the 5,042 people aged over 15 participating in the research had recent gambling experiences. 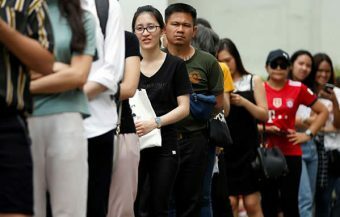 It was also revealed that about 20 million Thai people played the underground lottery last year spending about 100 billion baht, in comparison to 19 million people who play government-sponsored lottery and spent only 76.77 billion baht. One of the most alarming aspects of Thailand’s gambling is that it is becoming more prevalent among young people. According to a research of the Center for Gambling Studies, roughly 40 percent of Thai teenagers under 20 have had gambling addiction experiences. Therefore, there are concerns that the current Thai anti-gambling legislation fails to take into consideration the increasing popularity of gambling among young people or how vulnerable they are to it. However, it cannot be denied that in Thailand young people have a particular love and attraction to gambling which is shared by older generations. 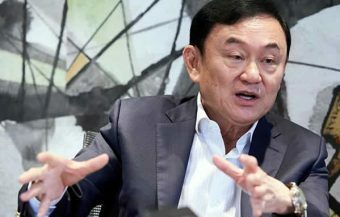 A survey by Ban Somdet Poll, an affiliate of Rajabhat University, showed that the overall attitude of Thai people towards the illegal lottery was mainly positive. Roughly 77 percent of the population considered underground lottery to be commonplace. About 54 percent of the 1,154 participants said they had taken part in illegal lottery while 44 percent claimed that they weren’t interested when asked whether they want the authorities to crack down on it or not. While gambling is illegal in most parts of the United States, in many countries worldwide it is licenced on the grounds of regulation, ultimately consumer protection and in order to prevent the growth of black market gambling. In Thailand there is blanket ban on gambling except for some horse racing events and the state controlled lottery. The result has been a growth in underground gambling in particular betting on football and the underground lottery which has extensive roots in Thailand and is estimated to be more popular than the sanctioned state lottery. * We have created three characters from research and our own investigations into gambling in Thailand. They are Joe, a small bookmaker who takes sports bets, Por, recovering gambling addict who still dabbles but feels he has it under control and Nut, a Chonburi small business woman who regularly gambles at a Cambodian casino or illegal gambling dens in Thailand. These reports are fiction but based on real life characters and our research into what gambling in Thailand is all about. Joe sits in an internet cafe that serves coffee and has a giant TV screen at the end. He sips coffee and has a side glass of orange juice. He is doing a brisk trade on world cup betting. ‘I used to bet all I had on football and I often won but that was the problem, I had to do more and I needed a bigger kick each time so I began to lose. I had debts, I was threatened if I didn’t pay and I had to leave home. It can easily destroy you,’ he says. Joe went to work in the building industry but five years later returned to the ‘energy’ and ‘buzz’ of the gambling and sports world. ‘Now I take bets and I play the odds, it is a different kind of buzz sure but a better feeling because I can make sure there is no, well practically no downside.’ Joe is lucky, he escaped the devastation and potential death trap that is a gambling addiction in Thailand. It can lead players into debt to black market gangs or to becoming involved with criminals, risking long jail sentences in Thai jails or result in violence, self harm or death. 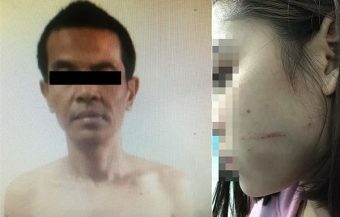 This is why gambling in Thailand is prohibited and viewed as a serious threat to stability as well as law and order. 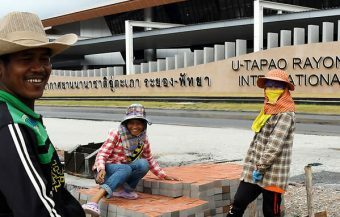 The problem seems widespread as Thai people seem to have a particular propensity for risk and the joy that it brings. Significantly this also extends to Thai women as well as men. Por gambles with Joe on a regular basis. ‘Now I control things. It does not make my wife so happy but now it is little more than 1,000 baht or even 500 baht. I can enjoy watching a football match with a beer and it is a fun experience. When I win now, I go home and treat my wife. When I lose, I consider that it is money that I have spent for entertainment.’ Por sounds like he has his former addiction problem under control. But it was not always so. He started gambling while in high school and graduated to placing his monthly earnings on football matches. Again he found he won more than he lost and he wanted a bigger fix. Eventually he could lose as much as 75,000 baht in one night. ‘When I began to lose I would panic and that is when it all goes wrong,’ he says. The young man ran up 300,000 baht in debts and was lucky that his family came together to bail him out with the warning that they would not do so again. Por and Joe are the lucky ones. The misery and devastation caused by gambling in Thailand has never been properly quantified but there is enough anecdotal evidence to get more than a glimpse of the nightmare involved. A life of endless struggle where assets are first stripped away, followed by pursuit by loan sharks and aggressive debt collectors leading to aspiral which leads to depression and crime. Thailand is a country without a comprehensive welfare system that exists in most western countries. It does have an extensive criminal underworld which reaches into gambling rackets. Despite this, gambling is a big business in Thailand and accepted by most Thai people as a form of entertainment with a razor edge to it. Nut is a small business owner working in Chonburi. Her monthly income is approximately 50,000 baht but she will often travel to Cambodia to visit a casino or frequent illegal betting dens. ‘I go maybe two times a month sometimes may be only once,’ she says. ‘I decide what I will spend and I bring cash, it can be 5,000 or maybe 10,000 but that is the limit,’ she laughs. 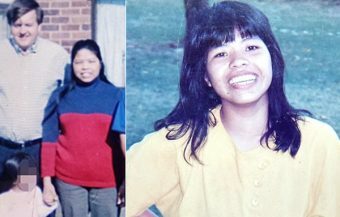 So a small Thai business owner spends 50% of her profits on gambling and smiles about. Nut is lucky as she does not incur debt but she is mixing her lifestyle with crime as many of the gambling dens are illegal and many have links to organised crime. A regular punter can get into debt, get in over their heads and be introduced to loan sharks. Debt is the enemy in Thailand for most small families of limited means as there are so many nefarious forces ready to pounce on people with options from loan sharking to human trafficking and prostitution. One of the pitfalls for many foreigners in Thailand married to a Thai wife is gambling. Many Thai wives, particularly those younger than their partners or who have a background in prostitution have experience with gambling. There are a quite a few horror stories. One Australian man came home one day to his Pattaya poolside home after a hard day’s work to find his home being locked up by men who had taken possession after his wife’s gambling debts were called in legally. 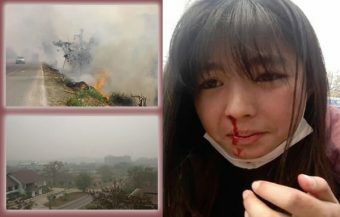 She was the owner of the property as foreigners may not own land in Thailand under Thai law. 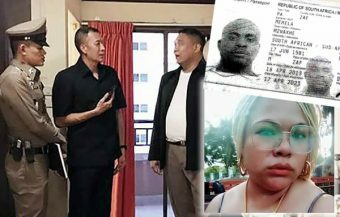 The same situation occurs in Phuket where an Irish foreigner with a Thai wife found his property empire in Thailand had bitten the dust due to his Thai wife’s gambling debts. 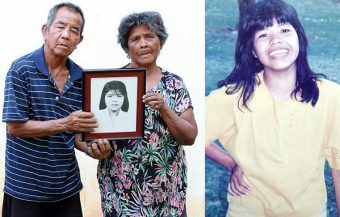 A foreigner married to a Thai woman in Udon Thani enjoyed watching his wife flutter away 500 to 1,000 baht twice a month in the underground lottery but then became concerned when he learned that his wife, a shrewd and capable business woman with her own money, had met a Thai woman who introduced her to a new, more novel mode of gambling linked to the Thailand’s stock market or SET index. 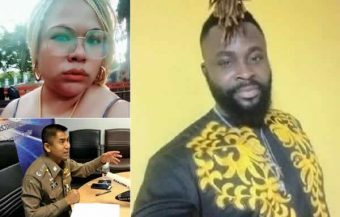 The money did not belong to the foreign men, it was his wife’s income from her own business as many Thai wives married to foreigners are also business women and often quite successful. Finally, his wife broke down and said she would stop as the habit was damaging her business. After this his wife received a visit from the illegal betting syndicate trying to coax into her into continuing with the habit on improved terms. His wife declined, she had learned her lesson. The foreign man advised her that it would be more fun and profitable to invest in blue chip Thai shares. The couple were lucky, there was trust and communication. 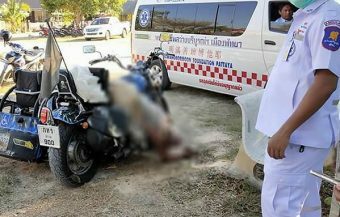 Not so for another foreigner also living in Udon Thani. An Englishman, former project manager and pub owner from the UK, who had invested in Thailand lost 13 million baht in assets all owned through his wife and ended up 3 million baht in debt. In Thailand technically a husband can be responsible for a wife’s activities and debts after they have married unless they divorce as marriage in Thailand is a joint financial enterprise. 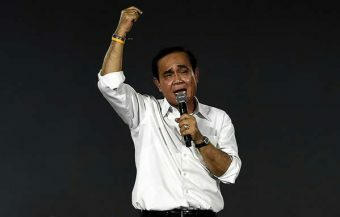 Thailand stiffly enforces its blanket prohibition on gambling despite some calls for the trade to be licensed or regulated by some observer and progressive social activists. These calls were rejected by the current military government at the start of its tenure but a debate was opened. Like everything in Thailand, there is a contradiction or paradox about gambling as an issue. While most Thai people in surveys are both a ware and tolerate gambling, they are also very aware and conscious of its dangers and Buddhist teaching on the subject. Under Buddhist teaching gambling is regarded as one of four deadly vices that lead to ruin. Most Thai people accept this and there has long been a blanket ban on gambling because of disastrous consequences in Thailand’s history when it was allowed. From 1930 to 1935 gambling was made legal in some Thai provinces at the same time as a blanket ban was introduced in others. This was reversed in 1935 when adverse social consequences and public opinion caused the Thai government to make illegal throughout the kingdom. Traditional Thai thinking towards gambling can be understood by the Thai word abaiyamuk which translates as the road to hell or a portal to hell and suffering. An old Thai saying suggests that ten lost to the fire is less suffering than one lost to gambling. Thai people see gambling, like many other things in life, on a spiritual plane, as bad. In Thai culture gambling and playing the lottery is also linked to the spirit world in that those who play the lottery and look for numbers are often in communion with spirits. Thai people are very superstitious and look for numbers in all public events and news. 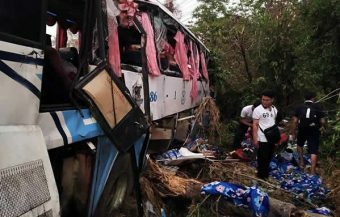 The number of people killed in a car crash, the route number of the road or the car registration might all be indicators or telling with regards to numbers for the lottery. Thai people, women in particular, talk about dreams and the numbers they decipher. Some argue that this is the main topic of conversations in many shops, restaurants and workplaces any day in Thailand.